Light Therapy For Horses, or infrared light therapy for horses helps to increase circulation, healing and can even assist with soreness, inflammation, injuries and skin problems. Horse Light Therapy can help speed up recovery time from injury, wounds and even laminitis. 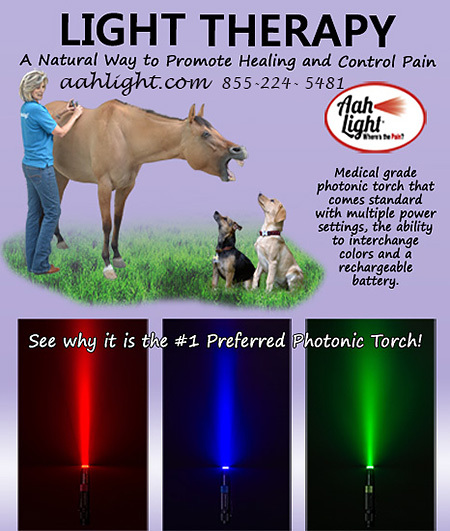 Light Therapy Products For Horses and their owners can be found in this section. 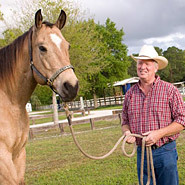 Make sure your horse has access to every possible method to keep him safe and healthy-- equine light care will be an additional tool that you as a horse owner will use frequently and enjoy.